A discussion on a life in and out of politics - from the despatch box to the stage on Strictly - by one of Britain's most influential and well-loved political figures. 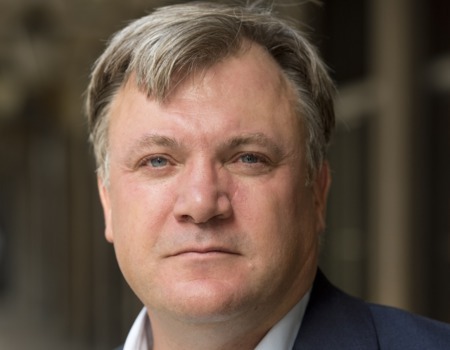 On the night of 7 May 2015, Ed Balls thought there was a chance he would wake up the next morning as the new Chancellor of the Exchequer. Instead, he woke up without a job.Twenty-one years earlier he had left a promising career in journalism to work for Labour in opposition. Moving through the ranks, from adviser to Cabinet minister and on to Shadow Chancellor, he occupied a central and influential position in and out of power during a pivotal period in British history. Speaking Out is a record of a life in politics, but also much more. It is about how power can be used for good, and the lessons to be learned when things go wrong. It is about the mechanics of Westminster, and of government. It is about facing up to your fears and misgivings, and tackling your limitations - on stages public and private. It is about the mistakes made, change delivered and personalities encountered over the course of two decades at the frontline of British politics. It is a unique window into a rarely seen world. Most importantly, it sets out what politics is about, and why it matters.